The 18-wheeler was disabled from a prior crash that happened a few minutes earlier and it was partially in the roadway blocking the inside lane of the interstate, officials said. The van, a 2017 Toyota Sienna, was driving eastbound and struck the rear of the trailer, officials said. One man died as the result of a Interstate 20 East crash that occurred about 2:45 a.m. Monday near the Ranch House Road exit, according to DPS. As the trucking industry grows in Willow Park, more and more truck accidents are happening. An experienced Willow Park truck accident lawyer is needed, to manage an insurance claim and hire experts such as engineers and accident scene investigators who preserve and document evidence. 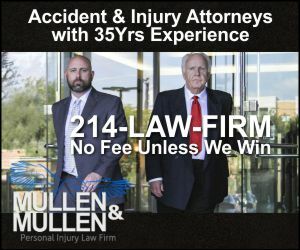 Go here to learn more about how a Willow Park truck accident lawyer can help.